The average American adult gains 1-2 pounds between Thanksgiving and New Year’s, which is weight that isn’t ever likely to be lost. That’s according to Dr. Rajiv Kumar, president and chief medical officer at Virgin Pulse, who – along with other health and wellness professionals – is wary of the toll workers’ health takes this time of year. The holidays are significant in the workplace. Businesses are closely eyeing year-end metrics, and employees are heavily focused on delivering on goals. The result, however, is often elevated levels of stress, which Kumar says is something employers should help employees learn to better handle. The evidence-based treatment stems largely from work done by Jon Kabat-Zinn, founding executive director of the Center for Mindfulness in Medicine, Health Care and Society at the University of Massachusetts Medical School. If employers create an environment for employees to be more mindful about reducing stress, Kumar added, the workforce becomes more resilient, and can bounce back more quickly from stressful situations. The effort could even result in employees learning to channel stress into a positive force, Kumar said. 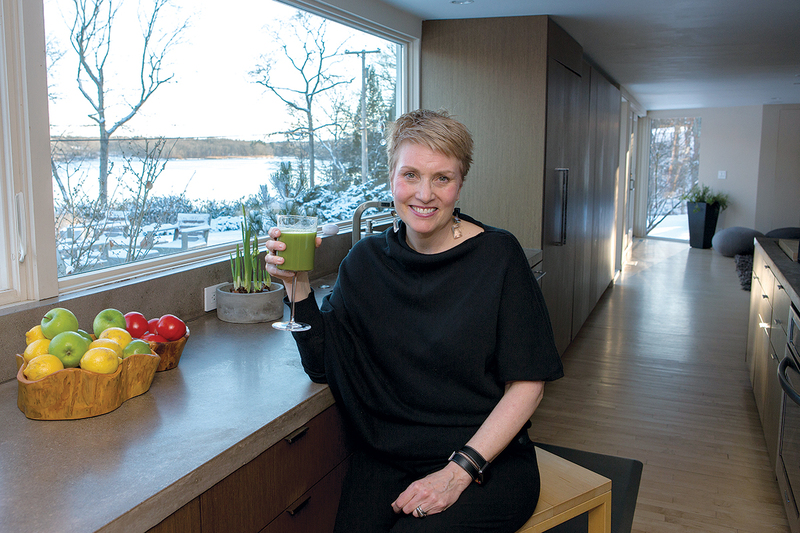 Katie McDonald, owner of ­bnourished, a health and wellness firm based in North Kingstown, largely agrees. McDonald, who started the business in 2011 after feeling depleted and depressed from her professional career, focuses on encouraging healthier lifestyles among professionals, who often work at the expense of their health. Employers, she said, could help by offering better-quality food, quiet spaces for reflection, meditation or mind-clearing practices and to celebrate the accomplishments of their staff during the year, which has a positive impact on employees’ mental health. And employees need to take some responsibility for their own physical and mental health. Where bnourished does a lot of one-on-one work, Virgin Pulse works with entire businesses from around the globe. Essentially, the Virgin Pulse strategy is to promote health and wellness in the workforce, which will result in improved business outcomes, reduced health care costs and a positive company culture. Kumar, a Brown University graduate, has been instrumental in growing the company. Virgin plans to increase its staff from about 100 to 300 by 2021, and has applied for $6.2 million in state economic incentives. The expansion spells growth for the Virgin Pulse business model, but it could also stand to benefit more Rhode Island employers and their employees. The company in 2017 partnered with the insurer Blue Cross & Blue Shield of Rhode Island to offer Virgin Pulse programs through their health insurance plans. Kumar said a growing number of employers are taking advantage of the offering, and he expects that to continue. The company has also set up partnerships with other health insurers in Massachusetts and other parts of the country. ­Eli Sherman is a PBN staff writer. Email him at Sherman@PBN.com, or follow him on Twitter @Eli_Sherman. Next articleFishermen see plenty of pricey fluke off Rhode Island’s coast. Regulators who set quotas for the U.S. fishery aren’t convinced.